The Cash-Based Physical Therapy Success System. Frustrated with insurance companies dictating your treatments and withholding payments? Overwhelmed by starting a cash-based therapy practice and unsure where to turn for help? Eager to transition your current in-network practice to a cash-based practice? Do you want a simple system for starting a cash-based therapy practice? Have you decided to start a cash-based therapy practice? Are you unsure where to start? Are you discouraged by other therapists telling you it's not possible? Are you overwhelmed by the prospect of figuring out it on your own? Are you frustrated with the lack of physician referrals that you get and are unclear how to find patients willing to pay you cash? Do you want more time with your patients? your family? for yourself? If you answered YES to any of these questions, then this is the most important website that you will ever visit. Imagine the possibilities: treat 5-6 patients per day, spend more time with your family and have more time to take care of yourself? Introducing The CashPT Blueprint. Learn from experts how to create, grow and market your successful cash-based practice. The CashPT Blueprint is an online training program and community that will walk you through the process of opening, or transitioning to, a cash-based practice. When you can create an experience and environment that patients cannot find elsewhere, provide exceptional service, touch them, listen to them and be an easily accessible resource to them, you will have an extremely valuable product and people will eagerly pay out of pocket to see you. Step-By-Step Template to start a cash-based practice from scratch. Let me take the guess work out of starting a cash-based therapy practice. I will walk you through the entire process of opening, day to day management and marketing a successful practice. You'll get detailed training and action guides so you can easily implement each step. Seamlessly transition your "in-network" practice to 100% Cash-Based. Discover the steps, strategies, resources and timeline you need to convert your existing practice to a cash-based practice. Easily get patients to contact you directly to schedule an evaluation. You will learn the proven method to have patients demanding to see you and waiting to pay you cash for your services. You can have a thriving cash-based practice even without Direct Access! Treat your patients as YOU decide they should be treated, not insurance companies. We are here to support you on your journey to creating the practice of your dreams. Just ask. Hey Aaron, my practice is building up nicely! This past week was my first week having multiple days of 5 pts/day. I started with almost $250K in debt! I ultimately want to bite the bullet in the next few years & pay it off ASAP… …and I haven't borrowed a cent more to start my cash practice. I’ve maybe invested about $1,000 to get started. No regrets so far! 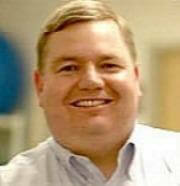 Aaron provides an invaluable service to the PT community -all over the country. His insights on business and patient care have given me the wings I need to offer services to my patients that they can't get anywhere else. Thanks Aaron!! Keep the momentum going and soon all PT's will be out of the trenches!! 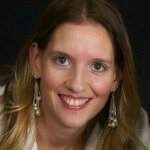 "The CashPT Blueprint has helped me look at my practice's marketing plan in the bigger picture. It also gave me the confidence to follow my intuition of connecting with the community as opposed to the standard focus of attempting to talk providers (within the 5 minutes you are lucky to get) into sending me patients. I've been super busy lately largely because of something you mentioned in one of The CashPT Blueprint modules. You were talking about creating a more equal relationship with providers as opposed to feeling like we're kissing their asses, buying lunches for the staff and asking for referrals. It was about letting them know the specific value we offer their patients and also communicating with the community. The CashPT Blueprint has been instrumental in setting up our practice. My wife and I were lost when we first attempted to find information for integrating physical therapy with our massage therapy practice. Our online search led us to Aaron LeBauer’s CashPT Blueprint. After reading about all it had to offer, we knew it was the only way to seamlessly setup our business. Aaron provides you with a systematic plan and online modules that take you through every step. Everything from setting up licenses, liability insurance, website/blog setup and how to market your business is included in the program. This is all great content that you will need to make your business successful. Even more impressive is the support and mentorship we’ve gained through working with him. 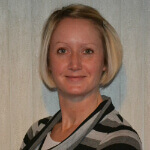 Ryan Godfrey, PT, DPT & Sara Godfrey, LMBT, PTA BodyTherapy, Inc. The CashPT Blueprint is a tool designed to streamline the process of opening your own cash practice as well as take a lot of the stress and decision-making out. Not only is Aaron able to hand you this "cash practice in a box" complete with paperwork, invoices, and tutorials on setting up your own website and increasing your visibility on search engines like Google, but he also follows up and does ongoing tutorials, ongoing teaching and offers ongoing consulting for those that might need it. I really can't say enough about the value that Aaron's services have added to my practice and even more so what it means to have support and encouragement from a group of therapists all moving in this direction! I'm feeling so blessed and productive....I've been dreaming of starting my own cash-based PT business for over a year and things are now falling into place. I found a rental space and in the past couple of days have gotten a lot of the necessary paperwork done to actually become a business! I've feeling so lucky because my landlord is excited to help me out and see me take the first step to starting my own business, that he offered a 6 month lease (instead of 12 mo) with the option of renewing up to 3 times under the same terms and conditions, AND he paid for my first year’s dues to become a member for the local Chamber of Commerce. Seems he has the “Give to Get” mentality that Aaron discusses in The 5 Pillars of Cash-Based Physical Therapy Success. 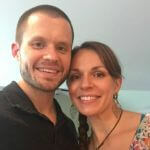 Thanks Aaron for sharing your knowledge and expertise….buying the CashPT Blueprint was the best decision I’ve made! If I hadn’t, I would still just be dreaming of “someday”. 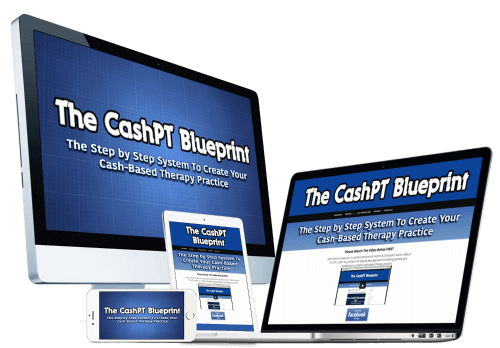 The CashPT Blueprint includes everything you need to create your own cash-based or private pay therapy practice. It includes membership to a private area of our website where you will have access to video training modules, downloads, resources and action guides to help you along the way as you create the practice of your dreams. Who is a “Doctor” Anyway? When you start in the The CashPT Blueprint today, you'll embark on a 10 week journey to building and growing the physical therapy practice of your dreams. I've put this program together, from my experience training 1000's of passionate physical therapists, that provides for the best chance of success. You didn't get all your neuro lectures on the 1st day! By the end of Week 3 you'll know what a successful cash practice looks like from the inside, have a solid understanding of the cash-based mindset, clear and definable vision for your practice. By Week 5 you'll have your business entity created, a solid EMR system, and know the steps you need to take to open the doors for business. By the end of the course you will have a business set up and ready to treat patients, a physical therapy practice that allows you to treat patients your way without Insurance headaches, and you'll have the key marketing systems in place that will allow you to reach patients directly, so they call you 1st and can avoid unnecessary surgery. With the CashPT Blueprint you will have all the resources you need to start and grow your successful cash-based therapy practice so that you can spend more time with your family, provide high quality treatments to your patients, spend less effort on billing and collections and find freedom in practice. Here's What You Get When You Join Today! Learn from exclusive high quality video trainings that will guide you step-by-step to create a successful cash-based therapy practice. You get access to exclusive links, downloads and discounts for time and money saving resources to run an efficient and profitable practice. Download PDF action guides, resources and workbooks for each video training. Download an Audio Podcast of each training module for on the go learning. The CashPT Blueprint is available for enrollment Today! Originally $5,000, now for a limited time get stated today for just $2497. This means that when you invest in your practice today you will get instant access to start your training program so you can achieve cash practice success sooner! You get lifetime access and free product updates to all of The CashPT Blueprint course materials, training modules and bonuses! YES! I'm Ready To Get Started With The CashPT Blueprint! Thank you, Aaron, for providing a most needed, informative service. I am just blown away by your content, your willingness to help, and your accessibility. Keep up the great work!! I've included over $7,000 worth of bonuses that many other business owners have used to effectively and efficiently grow and build their practices. A step-by-step guide to creating your Website, Blog and establishing an online presence. Over 50% of my new patients find us on the internet. Learn my secrets to making your website and practice visible to patients searching for you online. All of the documentation and administration templates you need to run a cash-based physical therapy practice. 30 different documents included! This workshop will help you set and reach your goals and will transform your life personally and professionally. This step-by-step workshop is designed to take you through creating your 10 year vision and pulling clear, specific and measurable goals from that vision. By the end of this workshop, you will walk away with a snapshot vision of what your life (and your practice) looks and feels like in 10 years and the goals/steps that you will take to make it happen! The most common question asked by patients and fumbled by therapists. It’s important to answer this question, but more importantly to find out more information about the patient’s condition and what is driving them to seek your services. In this video training I take you through the exact answer and follow up questions that I use to get patients on my schedule who’s 1st question and main concern is about insurance. 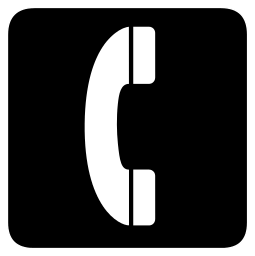 I’ve also included my downloadable call script that you can use when speaking to patients on the phone. • The 3 possible relationships a physical therapist can have with Medicare, which affects every decision you make surrounding this topic. • Why being non-enrolled or un-enrolling in Medicare is also not the same thing as “opting out” of Medicare. To ensure your success in cash practice happens faster and so you don't have to make the same mistakes I went through, you are invited to join me for LIFETIME access to my private Physical Therapy Business Ignition group. This is a $1,000 per month coaching program where you'll have UNLIMITED access to my best practice building materials, strategies and get answers to your questions. You can join in additional advanced Master Class trainings, Live broadcasts, get accountability and network with other like minded practice owners in the Facebook support community - all who are going through the same process, training and growth as you. This coaching program is for people who want to fast-track their success and is typically $1,000 a month, which means you'll get access to a minimum of $10,000 worth of additional materials and practice building strategies, resources and support to ensure your success with The CashPT Blueprint, your business, lifestyle, and beyond - guaranteed. Important: There is only a limited number of people I allow in this group and sooner you enroll in The CashPT Blueprint... the quicker you’ll be added to the Group …and the faster you'll experience Success in your business and Freedom to practice as you've always dreamed was possible! Connect with other like-minded practice owners in our private Facebook Physical Therapy Business Ignition community. This community is an amazing opportunity to network with your peers, get immediate answers to your questions, receive support from others just like you, receive feedback on your marketing strategies, business development and administrative decisions and an opportunity to help each other as you build and grow your practice. Through this select community of physical therapy business owners, you will accelerate the growth of your business and save lots of time, money and frustration because you'll have access to people who have done this before, are on the journey with you and who are here to help you win. The advanced master class seminars with me, Aaron LeBauer, will give you the opportunity for continued learning on topics unique to the challenges you experience in your practice. To make it even easier for you, we'll upload a new trainings on the latest marketing and business building strategies for you to study and implement at your convenience. If you’ve ever wanted me to personally teach you the same business building strategies that have produced hundreds of six-figure earning physical therapy practices then you have no excuse not to invest this program because it really is a great deal! To Make This a No-Brainer, I'm Going to Just Give You These Additional Bonuses...but You Have to Act Fast! As part of your CashPT Blueprint Program you will have exclusive access to The MobilePT Academy, an exclusive online training on how to start a MobilePT or Home Health Cash-Based Practice! 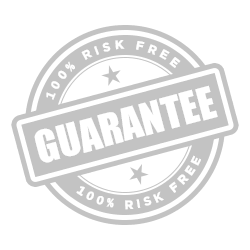 (A $997 Value) absolutely FREE! ...Including a Live Q&A with me! As part of your CashPT Blueprint Program you will have exclusive access to The GymPT Formula. An exclusive masterclass training and Step-by-Step Blueprint to opening your cash practice in a CrossFit Box, Personal Training Gym, Yoga Studio or Any Fitness Facility! If You EXECUTE the Strategies, IMPLEMENT the Systems, PARTICIPATE in the Private Community & Get Zero Results, Just Let Me Know. As Long as You Contact Us Within 60 Days of Your Purchase, We’ll Give Your Money Back. "Your resources page in the CashPT Blueprint is so helpful. I needed a list like that!" "Hey Aaron The CashPT Blueprint is honestly, best money I have ever spent. As a new grad this would of taken me much longer without your product. So thank you for making this product and bridging the gap our education never really gave us." The average patient is worth about $1,400 to a practice (8 visits at $175/visit) and you really should be charging much more! Just 2 new patients pays for this course with money left over. What if just 1 of the techniques in this training or the bonuses help you get just 10 new patients you wouldn't have reached otherwise? And what if only half of these patients refer just 1 other patient to your practice? That's 15 new patients and over $21,000 of new income! How would your life, and practice, change if you could get 1 more new patient per week next year? My "cash-based" PT practice has increased patient volume by 33% in the first quarter compared to last year (in spite of a snow filled winter in New England). I can confidently attribute this gain in part to the information that Aaron provides in his PT Business Ignition Group and The CashPT Blueprint program. The CashPT Blueprint is an online training program for achieving success in the cash-based physical therapy model. I've included over $7,000 worth of bonuses! The original price of The CashPT Blueprint was going to be $5,000, but for a limited time only, instant access to the secrets of creating a successful cash-based physical therapy practice are available to you for just $2497 today! Hi Aaron, I'm and hands-on myofascial release therapist and bodyworker with dual licenses as a PT and a CMT (massage therapist). Unfortunately, my state still has pretty restrictive direct access laws for PT's. I knew as I developed my practice that I wanted to rely on my CMT more. This would allow me the most freedom to build a successful practice doing actual treatment and getting great results for my clients/patients, instead of spending hours on their paperwork. 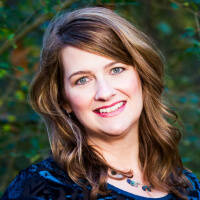 When I learned about your CashPT Blueprint program, I knew you could help me sort out the complications of my dual licensure and build the most efficient and thriving practice that would not only benefit my clients/patients, but would also help me find a balance in my work and outside life. My traditional PT job certainly wasn't allowing that. Aaron, I'm so grateful for you and all the wisdom, enthusiasm, and loving energy you pour into the CashPT Blueprint program. It really is an incredible program that can help therapists build a successful private practice and a more balanced life. You are offering a much-needed service at an incredible value. I know my small investment in your program will pay for itself many, many times over. Thank you so much! Aaron, I understand you’re crazy busy with multiple businesses and a family. I really appreciate the time and effort you put into coaching us all. I wouldn’t be doing what I am doing now, as smoothly as I am, without you. I saw my first patient around March 16th, I set a goal of averaging 14 patients a month for the first year. I saw 9 my first week, 10 my second week, 19 my third week, 21 my 4th week, 19 my 5th week, and 20 booked for this week so far. I still have a long way to go, a lot of grinding and work to do, and I am extremely grateful for your guidance!